Should I Buy GameStop Stock After Q4 2015 Earnings? Subject: Should I Buy GameStop Stock After Q4 2015 Earnings? The GameStop stock price has dropped more than 4% since Friday, and the stock faces a big test today (Thursday) when the company reports Q4 2015 earnings after the closing bell. You see, GameStop Corp. (NYSE: GME) disappointed shareholders when it reported earnings for Q3 2015 in November. 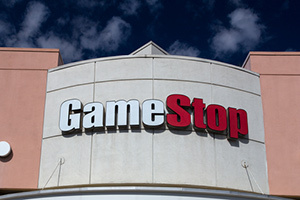 Analysts had expected GameStop to report earnings per share (EPS) of $0.59 and sales of $2.14 billion. Instead, GameStop reported $0.54 on $2.02 billion in sales. After missing earnings, the GME stock price dropped roughly 11% in the following week. GameStop blamed weak demand for new hardware and software for missing projections. New hardware sales fell 20% and new software sales fell 9%, according to Business Insider. Following the results, CEO Paul Raines stated the company should be able to provide better results in Q4 through new video game releases. He also highlighted partnerships with AT&T Inc. (NYSE: T), Apple Inc. (Nasdaq: AAPL), and ThinkGeek as boosting sales. For Q4 2015, analysts project that GameStop will report EPS of $2.25 on $3.57 billion in revenue. Zacks believes GameStop will likely beat earnings estimates. The research firm cites that holiday sales were up 1.8% year over year, and store sales increased by 4.4%. GameStop also opened close to 40 stores during Q4. The GameStop stock price is up 8.38% in 2016, while the Dow Jones Industrial Average is up only 0.53% and the S&P 500 is down 0.27%. A solid earnings report could send the GME stock price even higher in the short term. Analysts from Thomson/First Call give GME a one-year price target of $37.04. That means they see the GameStop stock price climbing another 21% from yesterday's closing price of $30.37. Can the GameStop Stock Price Keep Climbing in 2016? Even though GameStop may beat expectations for Q4 2015, that doesn't mean that this is a stock to own for long-term investors. You see, downloadable games and quick digital delivery still pose a major threat to GameStop's core business. In 2014 alone, "Candy Crush Saga" players spent over $1.33 billion on in-app purchases. Just in Apple's App Store alone, there were 396,093 downloadable games available in 2015. The rising popularity of downloadable games isn't going away, which is huge competition to GameStop. Plus, the GameStop stock price will always be tied to how well the company performs during the holiday season. Microsoft Corp.'s (Nasdaq: MSFT) gaming consoles are sold right in GameStop, but MSFT serves as a much better investment. For starters, it has a dividend yield of 2.67%. Even in volatile markets, the dividend from Microsoft allows shareholders to either keep the cash or use it to acquire more shares. GameStop does not pay a dividend. Microsoft isn't pigeonholed as just a middleman selling hardware, either. By 2020, the market value of global cloud computing is projected to be worth $270 billion. In the past seven quarters, Microsoft has doubled its global cloud-computing sales, and it owns the second-largest market share of the sector. Currently, Microsoft has a cloud run rate (current results extrapolated out over a certain period of time) of $6.3 billion. CEO Satya Nadella wants the run rate to reach $20 billion annually by 2019. Finally, Microsoft is building a strong foothold in the augmented reality (AR)/virtual reality (VR) market. DigiCapital projects that the AR/VR market will bring in revenue of $150 billion by 2020. According to Forbes, Microsoft's HoloLens headset will be able to project images through Skype calls. This highlights the unlimited applications AR/VR can provide. Microsoft will also use its dominance in the gaming industry by connecting its popular "Minecraft" game with Facebook Inc.'s (Nasdaq: FB) headset until the HoloLens is available for consumer purchase. While the GameStop stock price may pop today following a strong earnings report, it is not a long-term investment like Microsoft stock.